Playtime with the new scratching post. 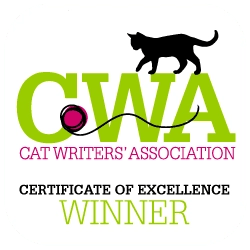 Cats Paw Scratching Posts has found the trick to entice kitty away from the sofa to frolic and knead his claws to his paws content with this innovative product – his Made-in-the-USA Cats Paw Scratching Post. Jim Sherrill’s hobby is woodworking. A retired Florida police officer, he’s been making toys and stick horses for years in addition to remodeling his 85-year-old house in the Tennessee Mountains. post from a major retailer. Jim says it only lasted about three days before it broke in the middle. He could see why. It was made of cardboard, cheap carpet and sisal chord, held together in the middle by plastic inserts in the cardboard tubes, and little else. 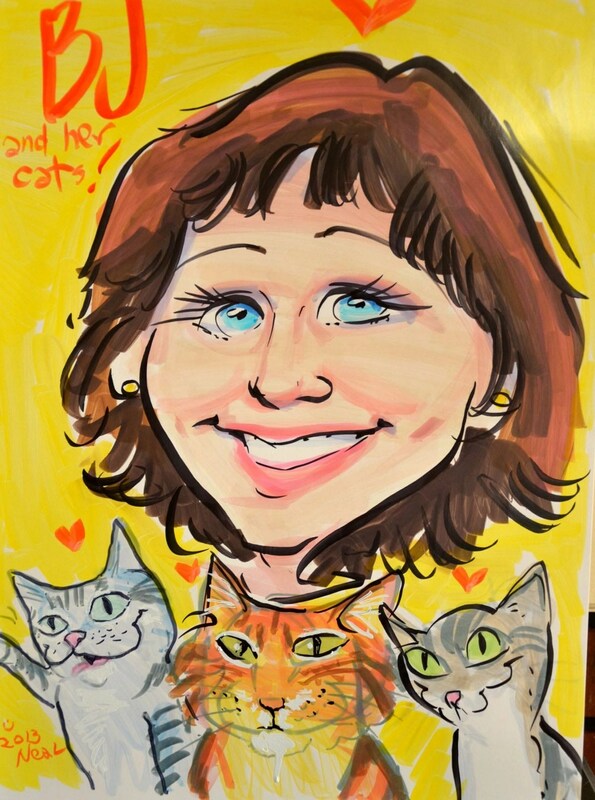 At the insistence of his daughter-in-law, who is an avid cat lover, Jim started making the Cats Scratching Posts to sell. Paws for Reflection caught up with him on Facebook. 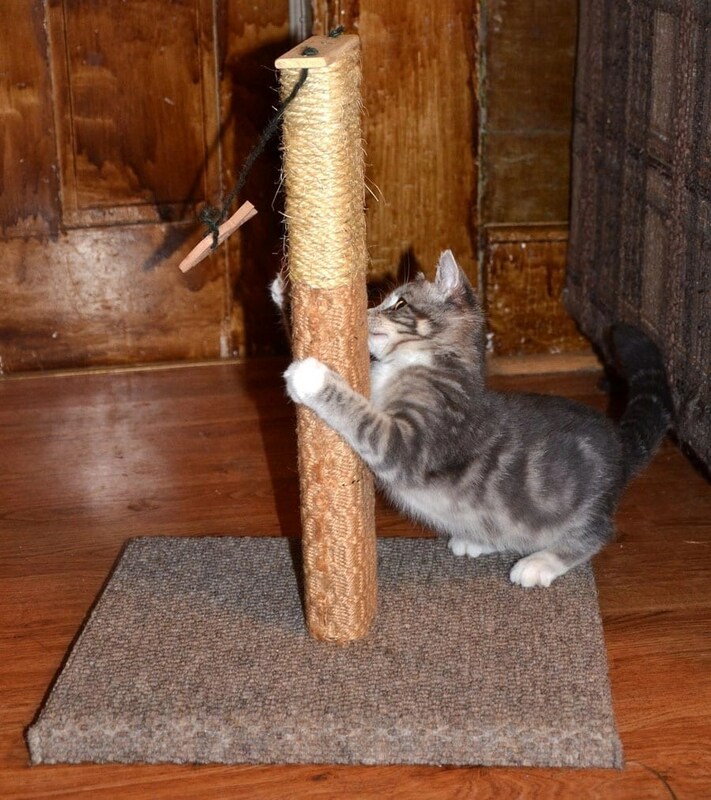 Cats Paw Scratching Posts has a Facebook page and is listed on the Choose-MadeInTheUSA website.While their official website is in progress, they can be reached through email at catpoles@aol.com. Made in the USA is a real plus because the post reflects the old-fashioned quality Yankee (pardon the pun on someone from Tennessee) ingenuity. Baby Kitty Lenny loves the post. It’s situated right by the side of the sofa, and with the toy dangling from the top, he has a reason to stop by and play. He can climb, bat at the toy fish, chase, and run around in circles. He loves to bear his claws into the sisal rope, and two other carpeting materials. Through writing for Paws and Reflection, I’ve learned the way to insure kitty will use a scratching post is to put them near items they like to knead. 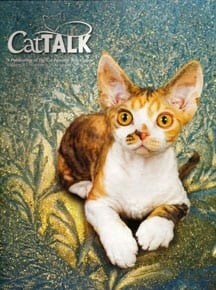 That means they need to be next to the sofa or a favorite scratching chair, not tucked away in the corner. Kitties like kids don’t want to be confined to a corner. They want to be in the middle of the action. And action this post does get. A four-month-old kitten goes non-stop, and this post definitely has found a way into his playful heart. The post is sturdy, with a quarter-inch bolt going through the center. There’s no way Lenny or Jim’s 15-pound grandcat is going to dislodge the post from the base. The base is covered with a commercial grade carpet Jim found at a local flooring store. The lower portion of the post is made from a different carpet fabric. The upper portion of the post is quarter-inch sisal rope that is hand-wrapped and replaceable. Jim says that if you will remove the top that the toys are attached to you will find the rope is tied in a knot and is in a cavity drilled in the post. Jim says the special thing about the post is the materials used in the construction and the craftsmanship to provide a sturdy and stable platform for scratching. The posts are crafted using all natural materials from local merchants in Elizabethton, Tenn. The base is made from reclaimed barn wood. A solid wooden post attached to a large sturdy base with a very large 4″X3/8″ lag screw that provides a sturdy and stable platform for years of scratching / stretching pleasure for your pet.. He makes three sizes: a 20″, a 25″ and a 30”, priced at $25, $30 and $35 respectively and $20 for shipping and packaging. Another cool addition is the catnip spray which can be applied to the post, and for the felines that like catnip, they will go absolutely wild. I tried a little earlier today, and my older cats, four, seven, 12 and 14 were quite impressed, dancing up a storm around the scratching post. The scratching posts are a work in progress. He recently put together a ‘barn wood project.’ His goal is to provide a quality, made in the USA product for a reasonable price. If my kitties could cast their vote, they’d say he’s off to a good start. 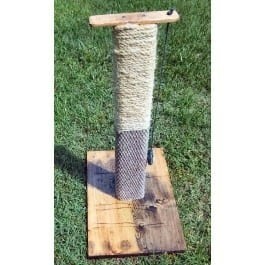 Thank you so much for your positive review of our scratching post. 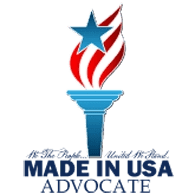 Like I said in the beginning, my goal is to provide a quality product at a reasonable price on a product that is 100% made in America by 100% Americans.